It appears to be a scam. b) You glory in depravity, and show it by supporting such filth. Or: (c) you surround yourself with people who are compromised in one way or another. That way you can use blackmail to get them to do your bidding for you. It’s an old technique the freemasons used to rise to power centuries ago. The volcano is just beginning to erupt. Once it becomes 'full steam' it will be hard to even come to grips with it all. But....be assured there is no stopping it now!! Fr. Hunwicke hit the nail on the head with an article he wrote recently: "They're all running scared, and they will become VERY DANGEROUS." Indeed they will. They will stop at NOTHING to make sure the volcano goes into an inactive state...but...I don't think they will succeed. Ermmm...how come an English word, "confidential," was used in its stamp in Argentina? 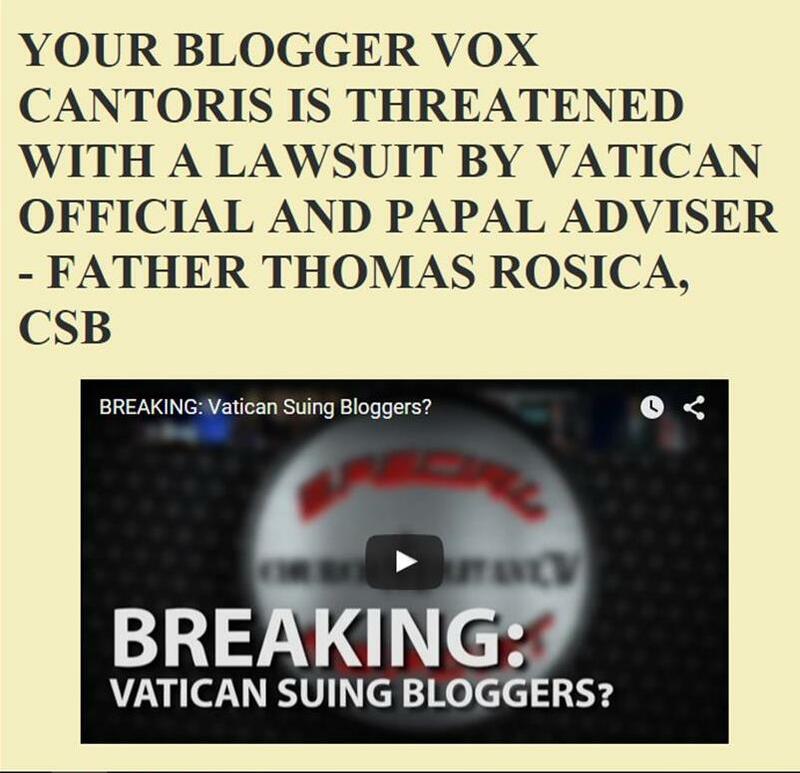 Vox, you published yesterday a report about financial transactions allegedly between Argentina and the Vatican Bank. Your report said that large sums of money had been transferred. Is there a reason why that report has been taken down since? Once again we have to chose - we have to prayerfully discern between this Deacon and the men in the Vatican. We have access character and motivation. From what I have read the Deacon is a man of integrity who gains nothing but - humanly speaking - loses everything. Considering a flagrant homosexual is running St Martha’s in the Vatican , the evidence would suggest it is standard policy to install and promote homosexuals. This Jorge Sonnante appears be the “source” for the Argentina / Vatican Bank money laundering story as well. This “document” re: Pope’s personal Secretary could be totally fake. So extreme caution is greatly advised Vox. Vox, thanks for the clarification! Please keep up the good work, many of us here are praying for you. are you sure that these documents are not fake? Is the stamp "SEGRETERIA DI STATO AFFARI GENERALI" authentic? Is it possible to verify that Pedacchio appeared in Homosexual websites?